Living in an increasingly urbanised Singapore, are we losing touch with nature? Is this connect inherently essential for our existence and the development of our future generations? Sign up here for this one of a kind symposium that brings together experts in education and conservation to discuss these key points and find a common solution. Cost: $30 per participant (includes choice of one nature activity. 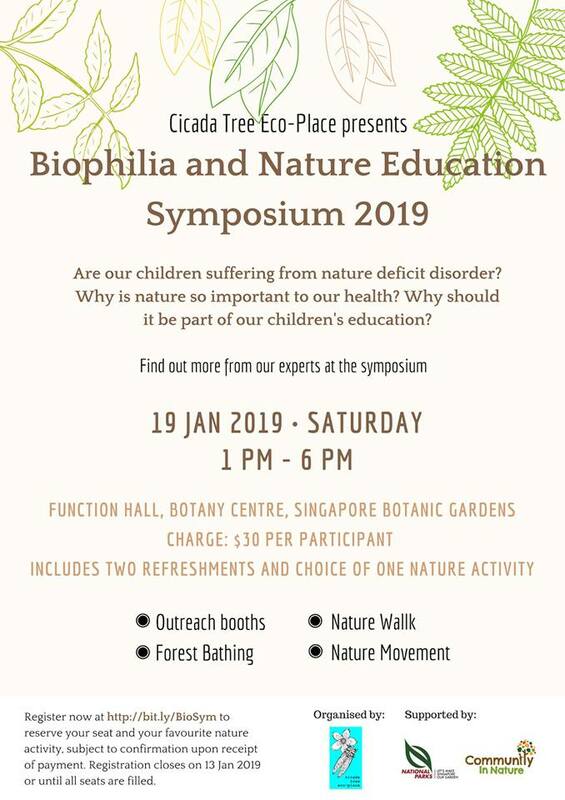 Choose from Outreach Booths, Nature walk, Forest Bathing and Nature Movement). Please note that nature activities are subject to weather conditions.